SEO Expert Needed for Complete SEO Package for Multiple Websites ! I want complete SEO Package like ON Page / OFF Page SEO, Moz / Majestic Backlinks, Website Traffic which convert into buyer (doesn't matter Social Media, SEO or any other ) increase TF /CF of the website. Payment : Monthly lowest cost or Commission based preferred per website. I am planning to create multiple websites of multiple niches. Please read carefully & bid accordingly. hello,i read your post.and u want to rank your website on google.this is suitable for your multiple website.so i will give you google plus 600 manual share.you can order me. thanks fir the your proposal. i will provide you complete seo package for multiple websites ! please order me, i assure you that you will be happy with my service. i will give you exclusive backlink with complete seo package for your multiple websites .please oirder me. 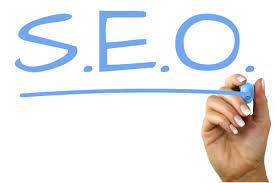 we are seo expert we can provide high pr baklinks which will bring organic traffic to your website. backlinks are the purest form of organic traffic..if you are interest in our service please let us know we can provide custom pack as per your requirement. i assure, i will get your website on google page 1 with white-hat way and i will make high-quality unique content and will post it in the most relevant and high da sites, the backlinks will be mix with the natural ratio of do-follow and no-follow. i can do it for you. i will do onpage and offpage search engine optimization for your website to help you rank higher. sir i see you need a seo experts . i have a good experience about seo. i done some work before.